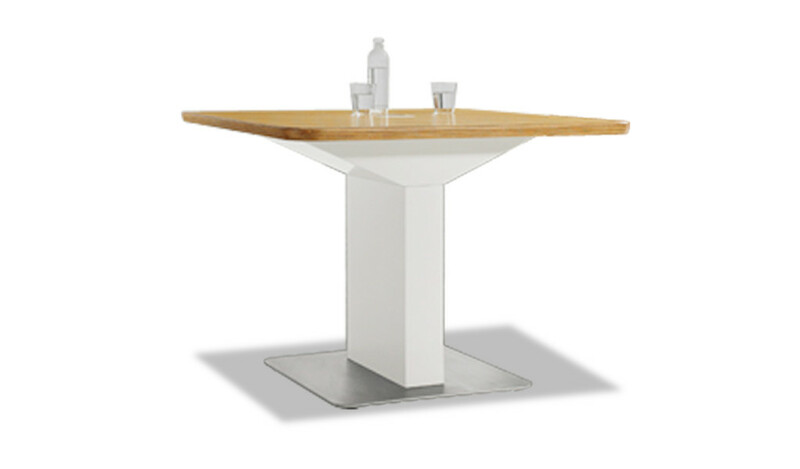 A masterpiece of design, functionality and luxury this meeting table has a split table top in white natural marble and a walnut finished pedestal base with brushed stainless steel trim & claws. Includes embedded wireless chargers on table top and a state of the art Linak height adjustment mechanism. 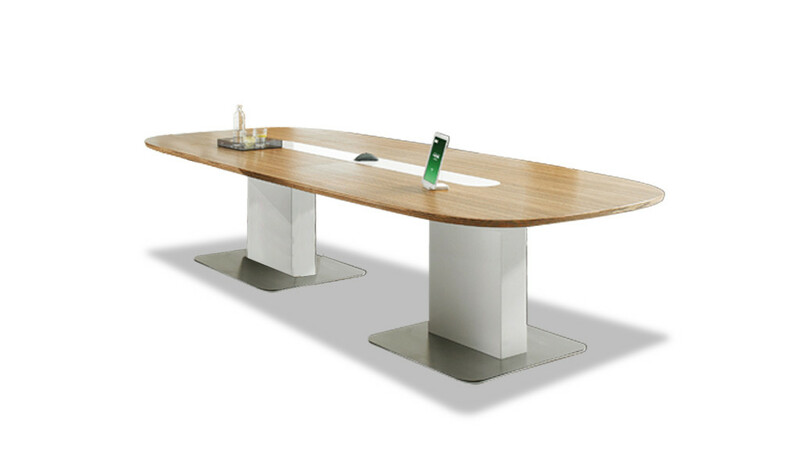 – This height adjustable meeting table looks best in its white marble top and dark walnut base. 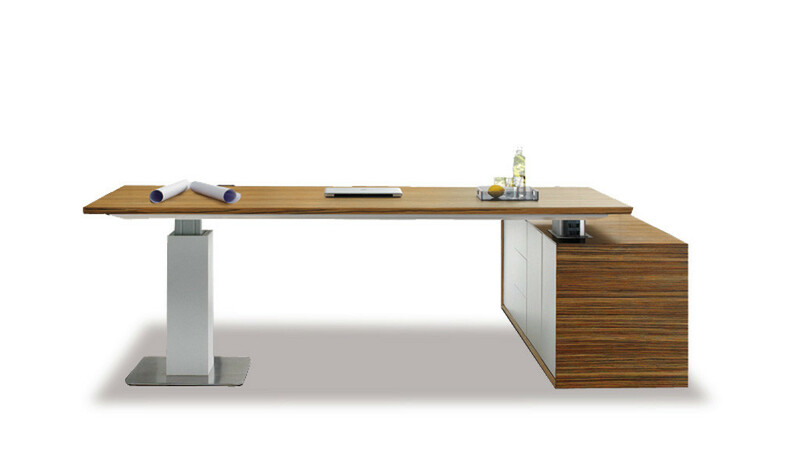 – A motorized marble top height adjustable meeting table with dual height adjustment mechanism. 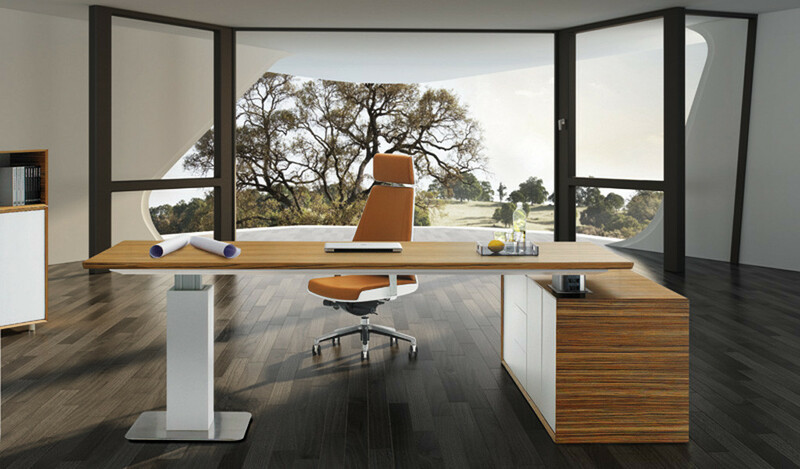 This modern masterpiece can be used as a meeting table, drafting table as well as your office desk. – Meeting table with natural marble top, walnut wood & brushed steel finished base and motorized height adjustment mechanism. – Made using E-0 grade MDF and natural wood veneer. The E0 grade MDF is a superb highly durable material and a world standard for premium furniture while the open grain Walnut wood veneer is from our carefully selected range of premium natural wood veneers with consistent color and grain structure. 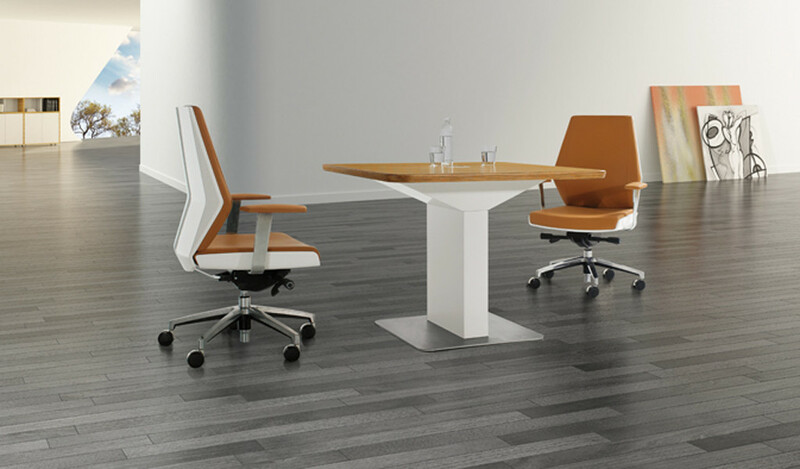 – A height adjustable meeting table with Italian marble top and walnut veneer base. Features a split boat-shaped worktop in white marble having two separate motorized height adjustment mechanisms. 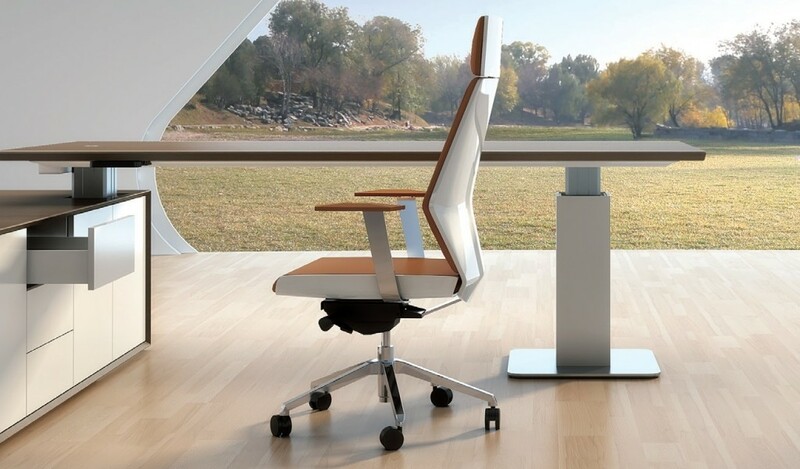 Designed by Red Dot award winning German architects it has a pedestal base finished in walnut veneer and brushed steel. 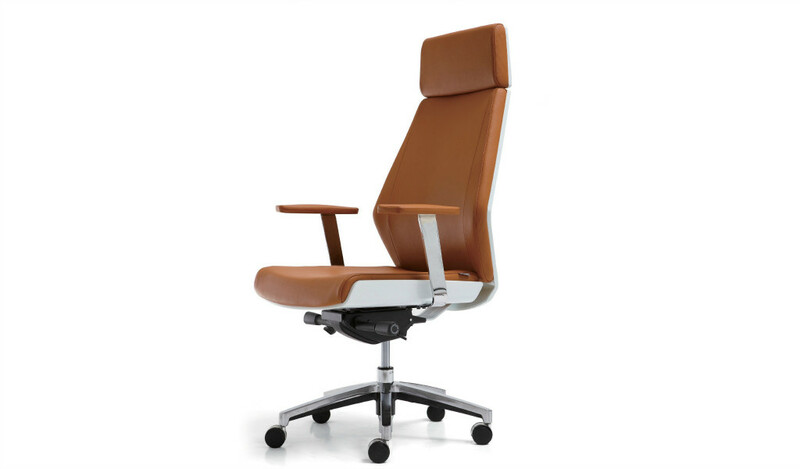 Built with E0 grade MDF and premium veneer for luxurious looks and natural feel. You can complement it with matching cabinet and office desk.